NatGeo’s 9 Best Fall Escape Trips in the U.S.
WHY GO: Take in the gorgeous New Mexico landscape and delicious New Mexican cuisine while enjoying the spectacle of the Albuquerque International Balloon Fiesta, which takes places every year in October. WHAT TO EAT: Get the red chile pork ribs at El Pinto. For a classic chile relleno, visit Mary and Tito’s Café. PRACTICAL TIP: Most New Mexican restaurants will ask whether you want red or green, for which kind of chili you want. To get both, just say Christmas. 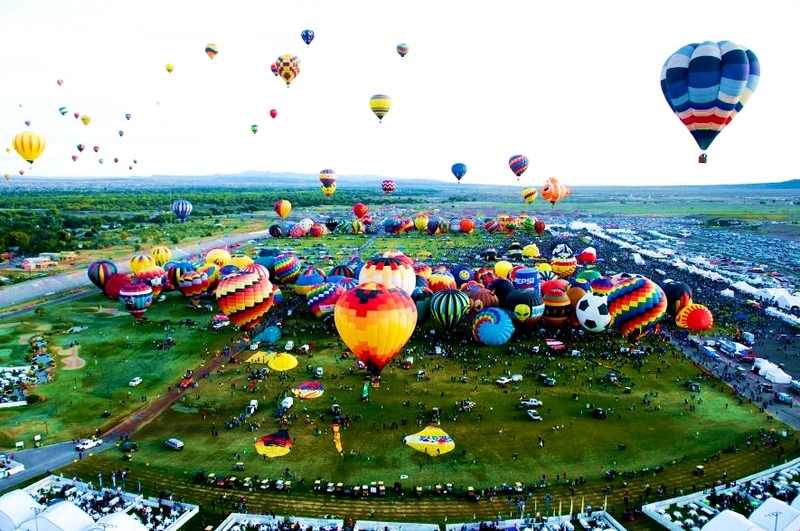 FUN FACT: The Albuquerque balloon festival is the largest hot-air balloon festival on Earth.